Can you believe it's already February? The start of a new year is always rejuvenating - this year in particular, I started a new gym, started eating cleaner, moved into a new apartment, and got a puppy! 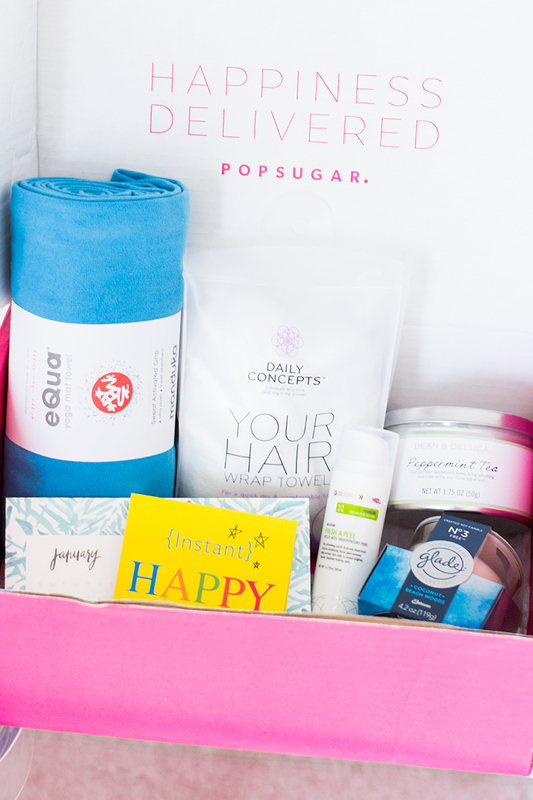 You know my love for mail, I was excited to see how POPSUGAR put together the first box of the year - the Must Have Box! 1 // GOLDFADEN MD™ Fresh A Peel Multi Acid Resurfacing Peel - I haven't tried this mask yet but there reviews say its works pretty well! Peels are great for this time of year because all the dry skin built up - this peel is supposed to to remove dead skin cells and reveal softer, brighter skin. 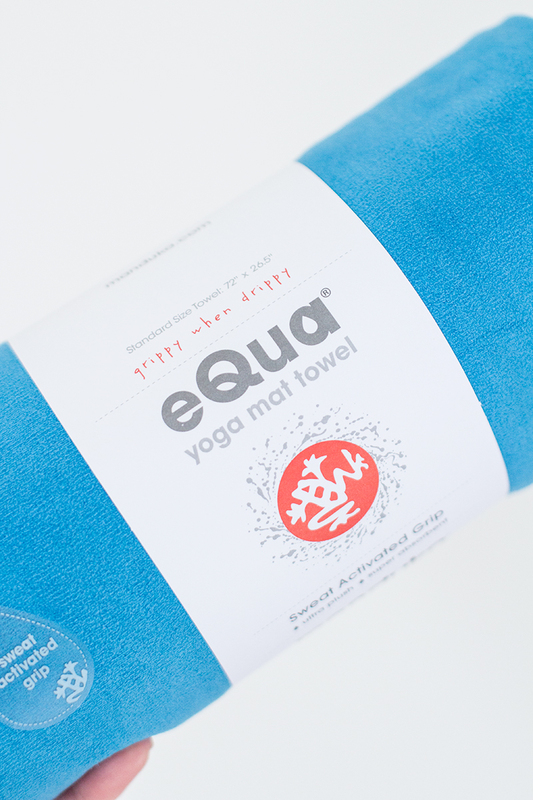 2 // MANDUKA eQua® Mat Towel in Playa- I've taken my fair share of yoga classes and unless you spend quite a bit on a decent yoga mat, you can tend to slip and lose your grip. I would sometimes grab regular towels but this towel will work so much better, its quick-drying and slip resistant, making it easy to move on your mat. 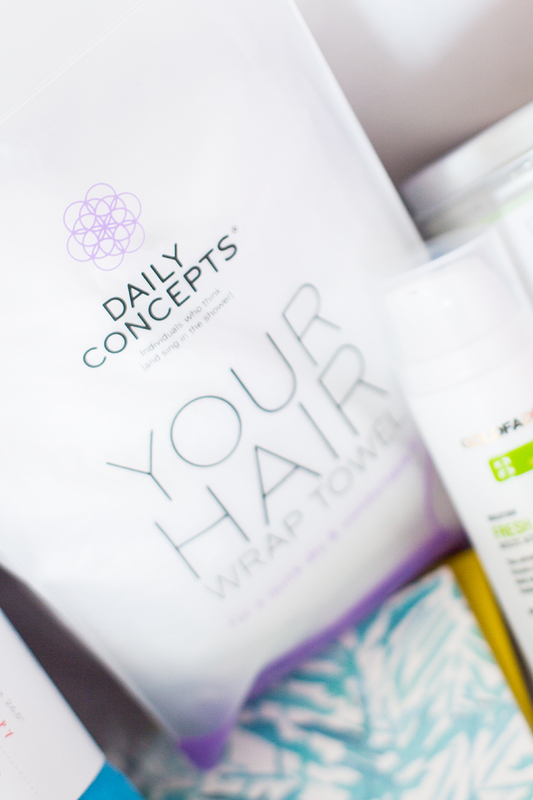 3 // DAILY CONCEPTS Your Hair Wrap Towel - Not only do I wrap my hair daily, but I also tend to get flyaways from the towel friction. This hair wrap towel has become my new favorite. First, it's small and wraps up your hair very easily (without falling off). Second, the fabric is much different then a normal towel. 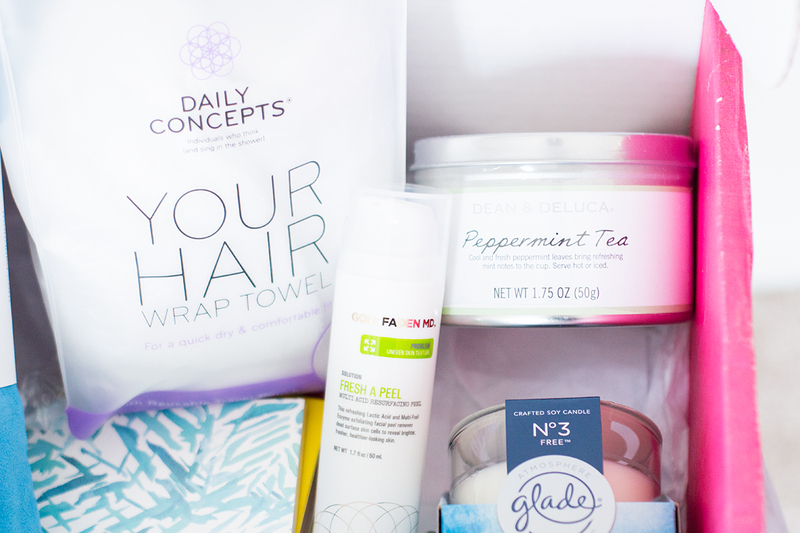 It helps to dry my hair quicker, making it much easier to finish my morning routine :). 4 // DEAN & DELUCA Peppermint Loose Leaf Tea - The perfect tea to help wind down and relax at night. It reminds me of sleepy time tea! 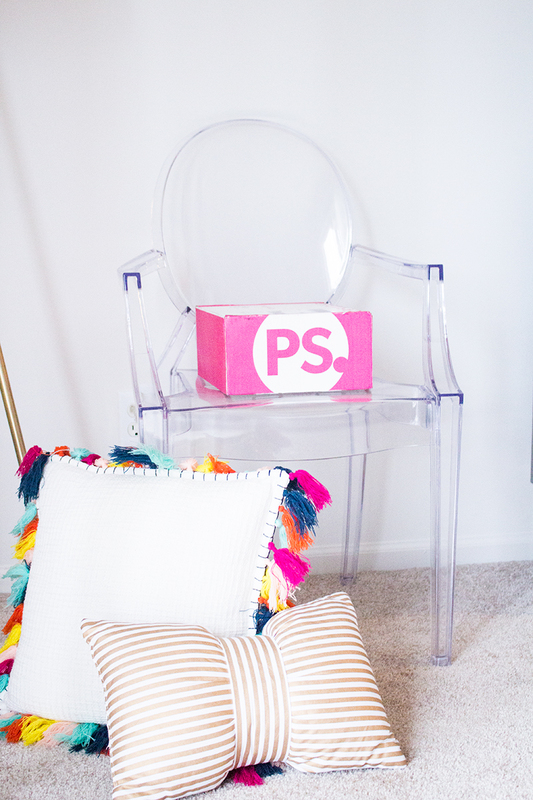 5 // MAY DESIGNS Desk Calendar & Notecard - I am still on the search for a desk for my new place, but I do know this calendar will be so cute sitting on top! I am a very visual person and I purchase a new calendar every year - thankfully this year's is super cute and I won't need to. 6 // Sourcebooks, Inc. Instant Happy Notes - These would be fun notes to use at work, at school, or for your kids if you're a parent. 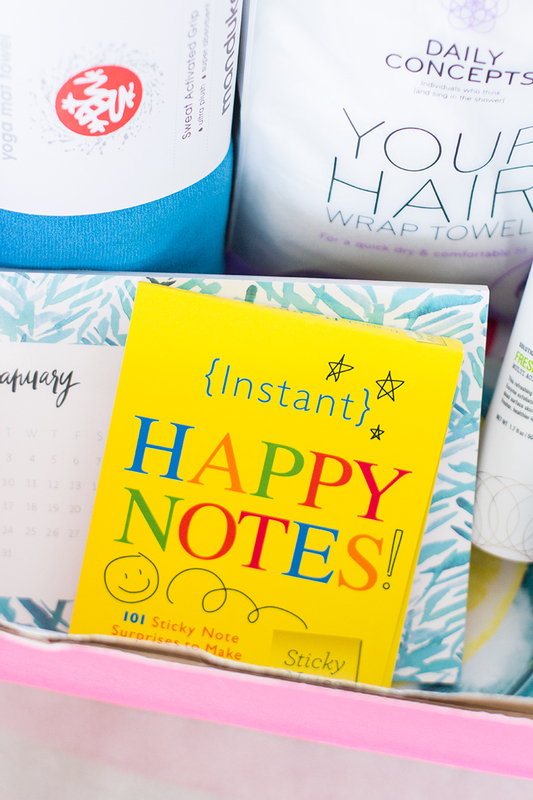 A simple pick-me-up note can brighten anyone's day! - As if I'm not in the summer mood already, this coconut candle will take you right to the beach. Glade candles are my go-to if I'm looking for something to instant fragrance. The aroma lasts a long time in the house too - making it smell like beachy heaven. 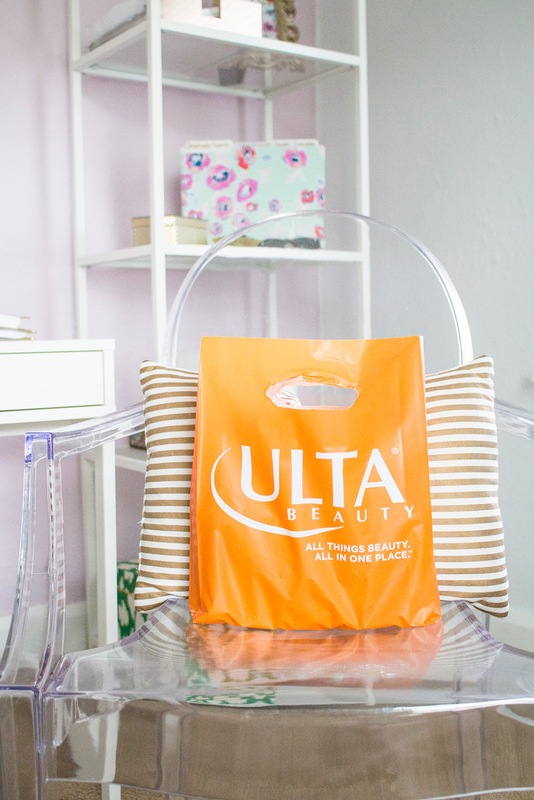 Don't forget to use the code SHOP5 to get $5 off your first order!